Perrin Urethane Bushings - Performance Parts Catalog - Bonehead Performance Inc - How Fast Should Look! Performance Parts | Bonehead Performance Inc.
PERRIN bushings eliminate the sloppy feeling during quick gear changes, giving the driver a more precise feel when shifting. Especially that crucial 2nd-3rd shift. See the Shifter Bushing at work HERE. 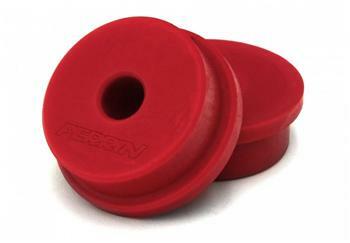 PERRIN Shifter bushings are a hard polyurethane bushing which eliminates slop but allows natural drivetrain movement. Simply replaces the OEM rubber shifter bushings with an easy install using simple hand tools. The PERRIN rear diff lock down (DLS) consists of 4 urethane bushings that lock the differential by stiffening the front and rear mounts for zero movement under extreme conditions such as drag racing and road racing. This DLS removes the twisting movement from the rear differential which can cause a “squishy” or spongy feeling at the point of initial acceleration. Add drivetrain rigidity and precision to throttle input to your Subaru with our PERRIN Performance Diff Lockout Kit. PERRIN Differential Lockdown kit consists of 2 aluminum plates and 4 urethane bushings to completely remove any and all movement from the rear differential under all conditions. From performance street driving, to road racing, drifting or drag racing this will handle and improve it all! Under these conditions the drivetrain (diff included) will twist and move causing a “squishy” or spongy feel at the point of initial acceleration. The PERRIN rear diff lock down (DLS) locks the differential down for zero movement. 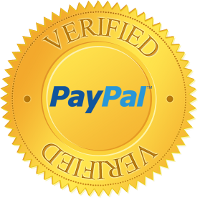 Unless explicitly stated otherwise, all products sold by Bonehead Performance are designated Race Only and are solely for competition/off road use limited to racing formally sanctioned by a recognized racing organization. Any other use, including recreational off-road use, may be in violation of local, state, and Federal laws. Bonehead Performance or any of their affiliates do not implicitly or explicitly confirm the legality of using any products it sells on public roads; that is entirely the responsibility of the consumer.